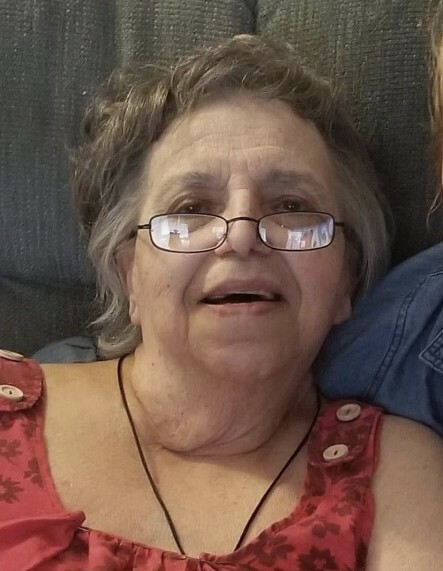 Newport, NH - Marilyn J. Martin, 81, died after a brief illness at New London Hospital on April 14, 2019. Marilyn was born on August 15, 1937 in Sharon, Connecticut to the late Walter and Olga (Silva) Johnson. She was raised and attended school in Sayville, NY. She married Charles Martin on June 12, 1955 and enjoyed 49 1/2 loving years together. They made Newport their home in 1967. Marilyn loved to knit, sew, do crossword puzzles, babysit, cook, and face time with her grandchildren. She is predeceased by her parents, her husband, Charles Martin (2004), and brothers, Jim Johnson (1987) and Michael Johnson (2005). Surviving family members include her sons, Mark Martin of Newport, NH and Michael Martin and his partner Jessica Demers of Ascutney, VT; grandchildren, Jakobi Martin and Lincoln Martin; brother, Norbert Johnson and his wife Linda of Elkins, NH; nieces, Tonya Lavertue of Unity, NH, Lynette Johnson of Springfield NH, Cherie Shaw of Bow, NH, and Holly Masterson of Londonderry, NH; nephews, Erik Johnson of Melbourne, FL and Norbert Johnson of North Andover, MA. Honoring Marilyn's wishes, there will be no services or calling hours.